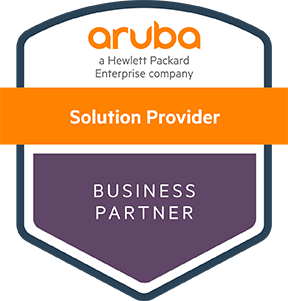 Aruba - a Hewlett Packard Company - CPP Associates, Inc.
Aruba is changing the rules of networking by creating smart digital experiences provided by a next-generation, software-defined, secure network designed for mobile and IoT. With intelligent network access control for wired and wireless networks, Aruba offers customers visibility and control for their WAN, the ability to protect their organization from inside and out, and centralized network operations to resolve network issues before they disrupt their business. Aruba’s industry-leading Secure NAC Solution covers the entire set of enterprise access control use cases from wired to wireless, guest, BYOD onboarding, and policy-based remediation and response. A solution designed for mobility and IoT that leverages known and trusted contextual information and analytics to secure network access on any multi-vendor wired or wireless network, and is Common Criteria certified. A solution that integrates advanced AI-based machine learning, pinpoint visualizations, and instant forensic insight into a single solution and that finds systems and devices and remediates attacks involving malicious, compromised, or negligent users before they can damage the operations and reputation of the organization. Solutions that deliver consistently reliable access, along with the flexibility and high performance required for any midsize business or high-density enterprise, with built-in AI-intelligence, location services, and seamless roaming users and IT receive an optimal experience. Solutions that provide performance and scale for today’s cloud-based applications and bandwidth hungry devices, plus next-generation access and aggregation switches that provide the high-speed infrastructure and backbone for moving traffic intelligently from the edge to the core.